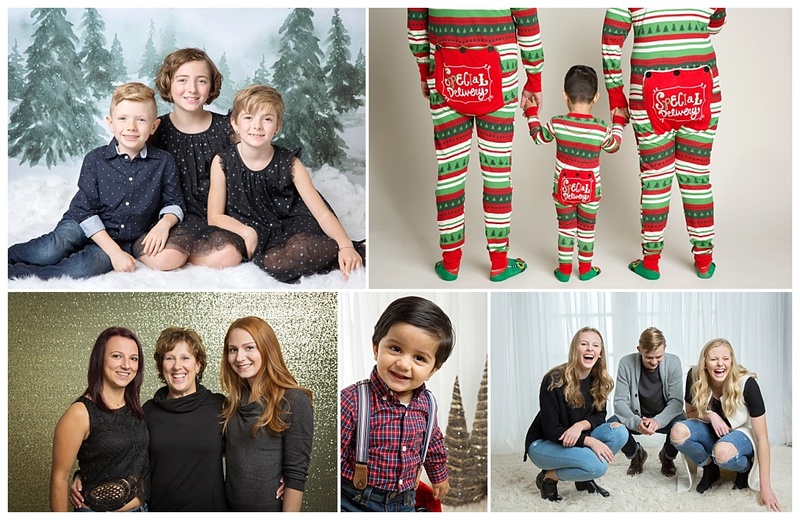 Come join us for our annual holiday mini sessions!! These popular minis always sell out, so get your spot fast! Three dates to choose from: November 10th, 11th, 12th, & 17th. Mini days are now SOLD OUT. Still desperate for a mini? Contact info@geminivisualscom. We are booking a handful of private mini sessions; $300, 10 files, holiday e-card. Must be booked by Dec 1st, limited quantities. Sessions are located at our commercial South Surrey studio (#15-15515, 24 Ave Surrey BC, V4A 2J4) with multiple backdrops to choose from. For all packages: You’ll receive 15 high res images of your choice via digital download. PLUS a holiday e-card from your session delivered via email for you to send to friends & family (and the option to upgrade to 50 cards actual cards if you'd like)! If paying via credit card: (Visa or Mastercard only) Please leave your number and expiry date below. If you're uncomfortable sharing your credit card information with us, let us know in the space below that you would like a direct https secure invoice emailed to you that you can pay online OR you can leave a message on Adrienne's secure voicemail with your name, card number, and expiry date at 604 312 6330. If paying via e-transfer: Send to info@geminivisuals.com and include with the password "HOLIDAYMINI"
Credit card number inluding EXPIRY date ( Visa or Mastercard only). Choose 3 preferred time slots and we'll do our very best to book you into one of your top choices! Time: Please choose one ...November 11th - SOLD OUT------November 12th - SOLD OUT--------November 17th - SOLD OUTStill desperate for a mini? Contact info@geminivisualscom. We are booking a handful of private mini sessions; $300, 10 files, holiday e-card. Must be booked b Dec 1st, limited quantities. How would you like to receive your images? This year you have several options to receive your images. Please choose one. All sessions come with an optional free holiday e-card! Let us know which card you'd like. Don't worry, if you change your mind you can choose a different option after your session when you're selecting your images! You will also be able to upgrade to actual folding cards after your session as well. 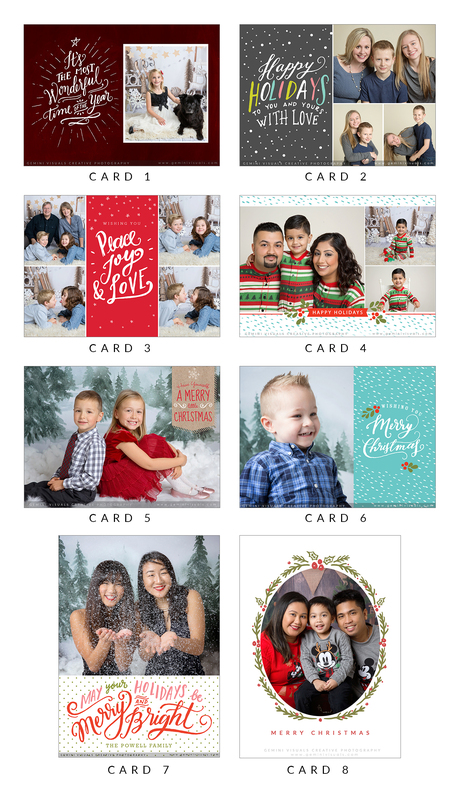 For free holiday cards, we choose the image from your image selections. For purchased cards, you may choose your images yourself. We like to provide our clients with a little holiday Facebook timeline as a thank you for your business. If you'd like a free timeline let us know and, time allowing, we'll send you one, time permitting! (timelines are not guaranteed to be included). Would you like a Facebook timeline? If no, leave blank. Any general questions or concerns? Let us know!